In addition to ice cream, I love to eat fruit. I know there are people who do not. This fruit bowl was so inviting. Bought three kinds of apples after sampling each and also the golden Mirabellen. 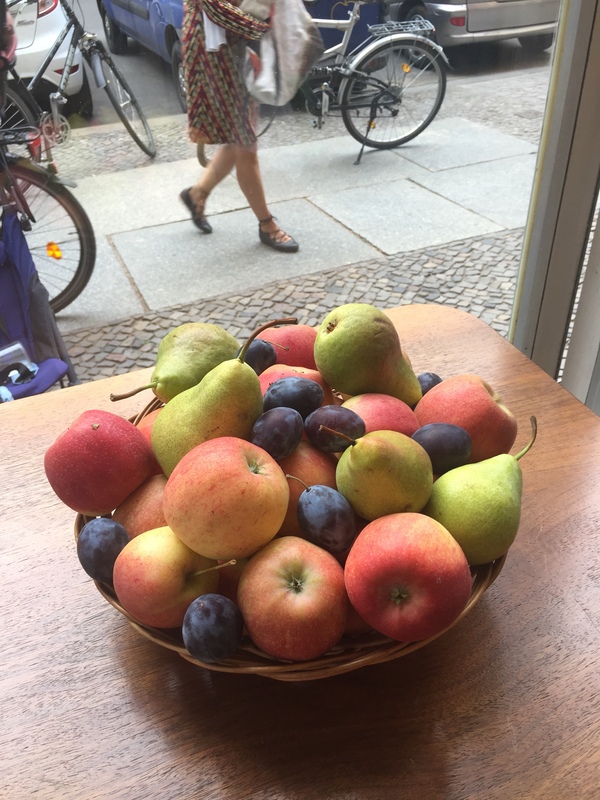 A different kind of apple store- Apfelgalerie, Berlin.